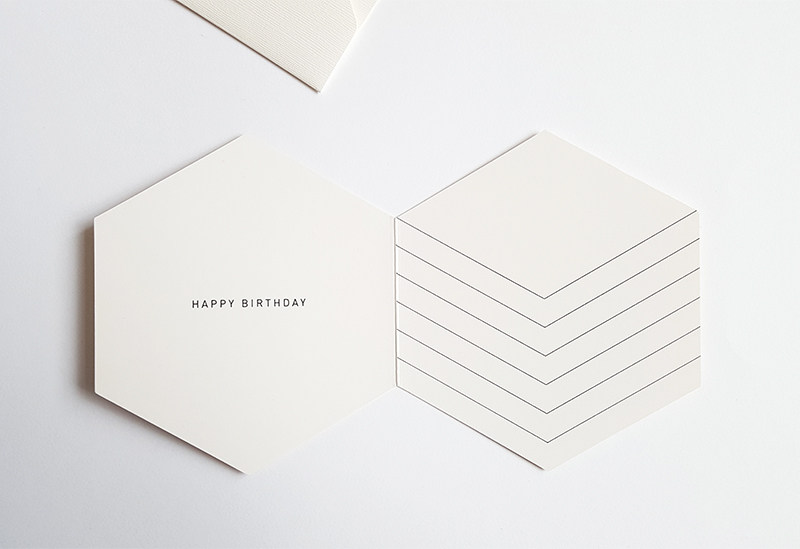 Cube shaped birthday card with a graphic expression. 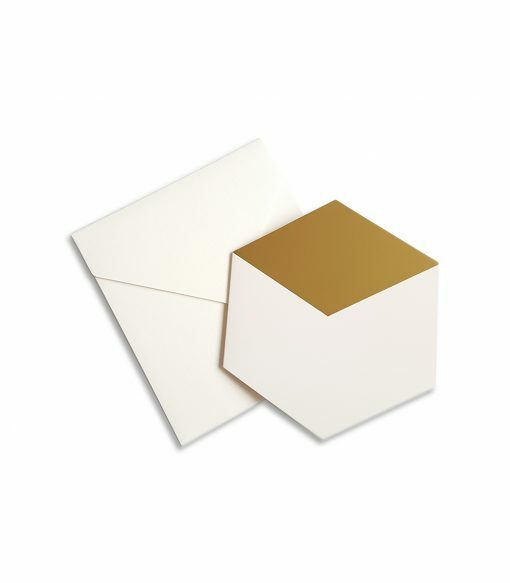 Folded card with a gold cover. 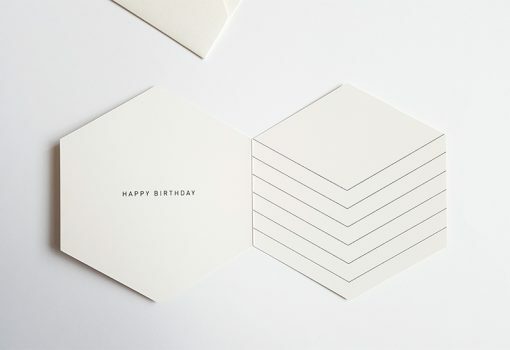 It comes with happy birthday text and lines inside.